This post covers a free Chrome extension to see Google Analytics calls without Chrome console. 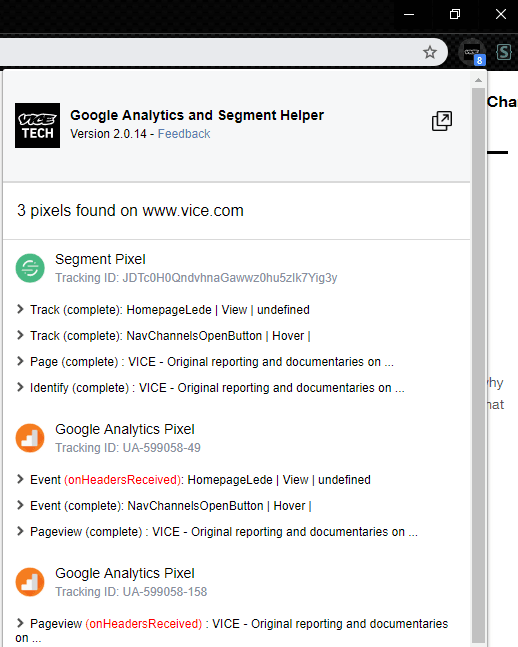 Google Analytics and Segment Helper not only supports Google Analytics but it works with Segment too. It shows the page events in real-time with all the other details. You can analyze any website with this extension and see the calls in real-time. However, currently you cannot export the data that it shows. You can use it without any account and on any websites you want. In general, if you want to see the analytics calls from the browser then you can’t see them easily. You will have to audit the console log in Chrome to get that data. And if you don’t know much about the technical stuff of Google Chrome then you can take help of this extension that I have listed here. There is nothing difficult in using this simple tool. Just install it and then start using it on any website to track analytics calls in real time. 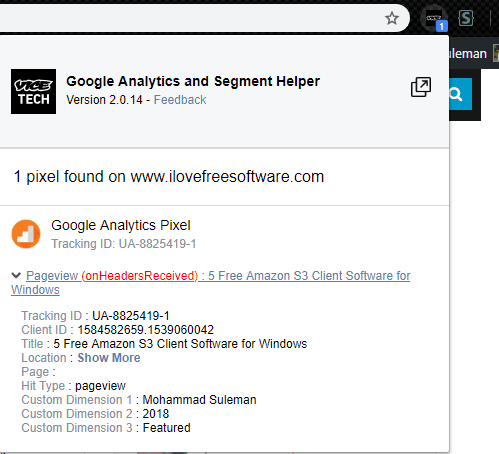 Google Analytics and Segment Helper is an open source tool for Chrome as well that you will like. If you are interested in its code base, then you can see that using this GitHub link. To start tracking Google Analytics calls in meantime, you can install this extension from here. After that, open any website and then wait for it to show the number of tracking pixels. When it shows the count of tracking pixels, click on its icon and then see the details. Some websites use Segment too along with Google Analytics. Since, this extension supports Segment as well so you can use it on a website which is using that for tracking customers. And it shows the tracked calls from Segment first and then Google Analytics. You can see the screenshot below. That’s it. You can use this Chrome extension in this way to easily track the Analytics calls without using Chrome console. Just install the extension and then forget it. You can use it on any website and whenever you want. Google Analytics and Segment Helper is a simple and a powerful tool that you can use. It is quite difficult to dig out the real-time tracking or events calls from Chrome console. But if you use this extension then it is very easy. Use it without creating an account and on any website. And I liked the fact that it supports Segment which is kind of expanding these days on e-commerce or developer websites.